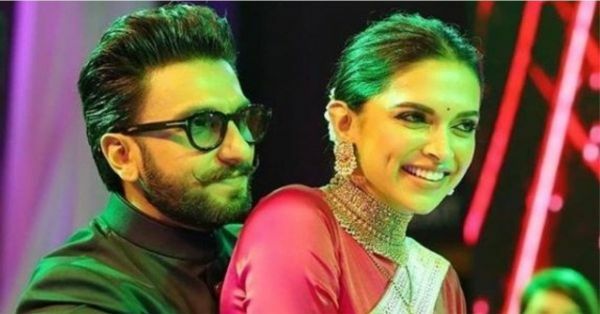 You Won't Believe What Ranveer Singh Loves About Being Married To Deepika Padukone! It's been over a month since Ranveer and Deepika tied the knot in an intimate ceremony at Lake Como. The entire country aww-ed in unison when DeepVeer shared the happy moments from their big day. And then as we all witnessed, they newlyweds hosted three receptions for their friends, family and the media. Now that all of that has subsided, Ranveer Singh is on a high with the success of Simmba. He opened up in an interview about what married life looks like. According to an India Today report, he said that he's going to be the husband of the millennium. He's going to glide and breeze through it. Talking about wifey Deepika, our besotted Bajirao also said, "She is so gharelu, I love it." After their Srilanka vacation, DeepVeer are back to work with a bang. The promotions of Zoya Akhtar's Gully Boy have started and Ranveer is busy with that. The newlyweds recently also hosted a success bash for Simmba. A couple that pushes each other to reach higher levels of success, yes, yes, YES! Recently, Ranveer even spoke about how he's itching to share the big screen with wife Deepika. And that might happen soon as rumours suggest that the husband and wife will be seen together in the movie 83, based on the life of Kapil Dev. We just want to shower these two with so much love and affection. You guys are the cutest ever, and we hope your fondness for each other continues to grow.